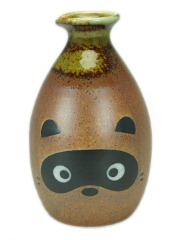 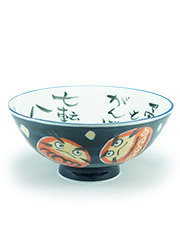 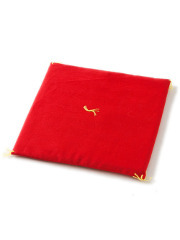 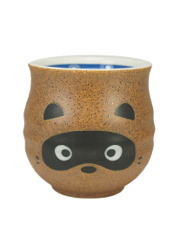 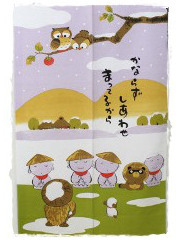 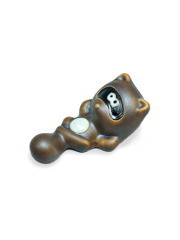 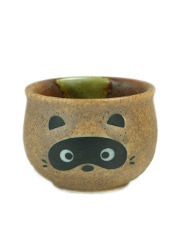 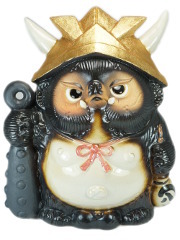 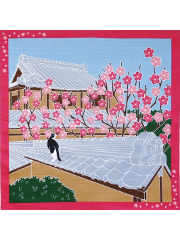 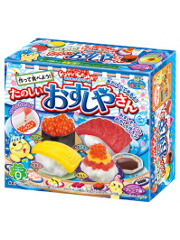 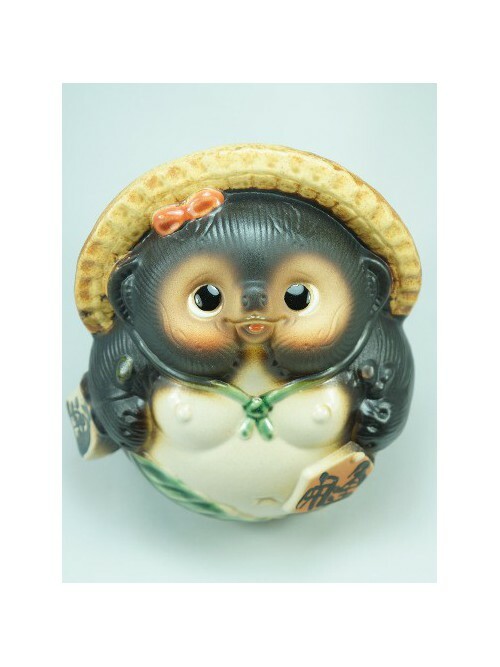 A more feminine version of this friendly lucky charms called tanuki. 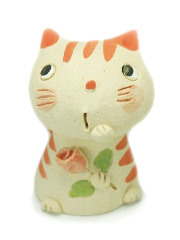 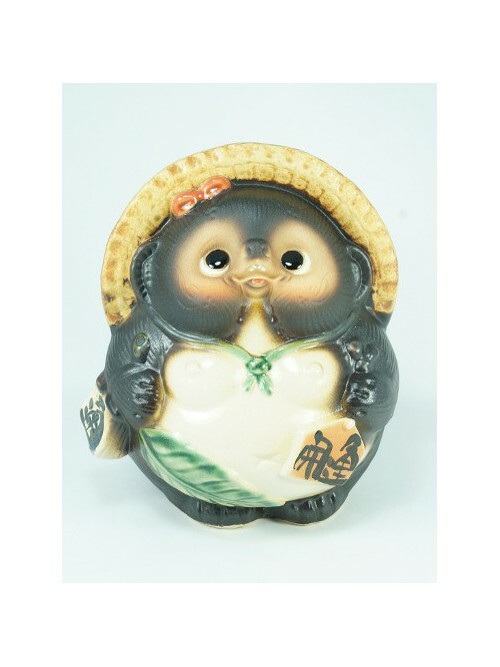 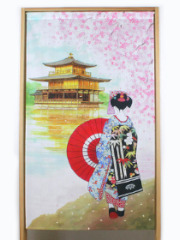 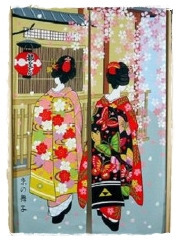 Installed in your garden or in your house, you will recognize this pretty tanuki girl thanks to the little green leaf she puts in front of her. 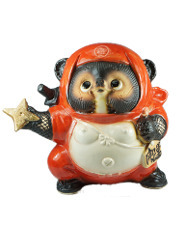 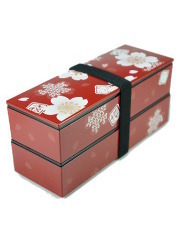 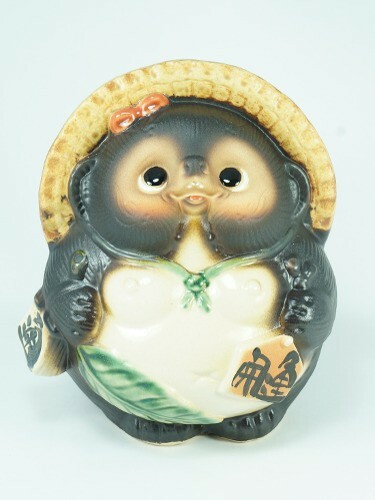 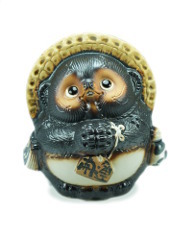 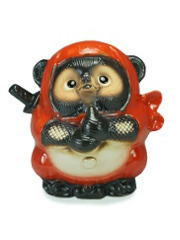 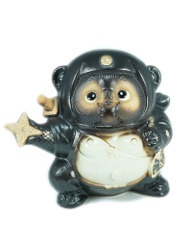 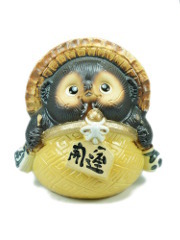 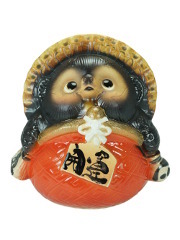 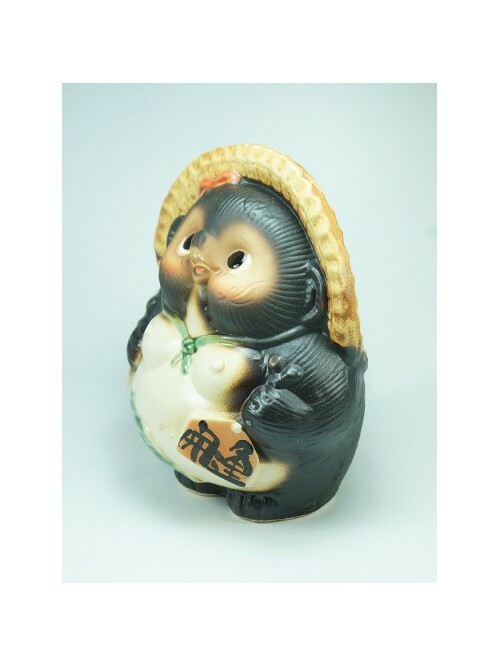 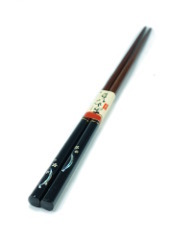 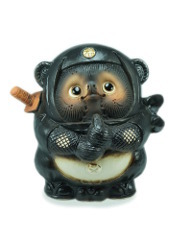 You can recognize some typical elements of a Tanuki: A big belly representing wisdom, big eyes to see all around and make good decisions, a promissory note for trust, a hat protecting from problems and a wide charming smile for its catching good mood.